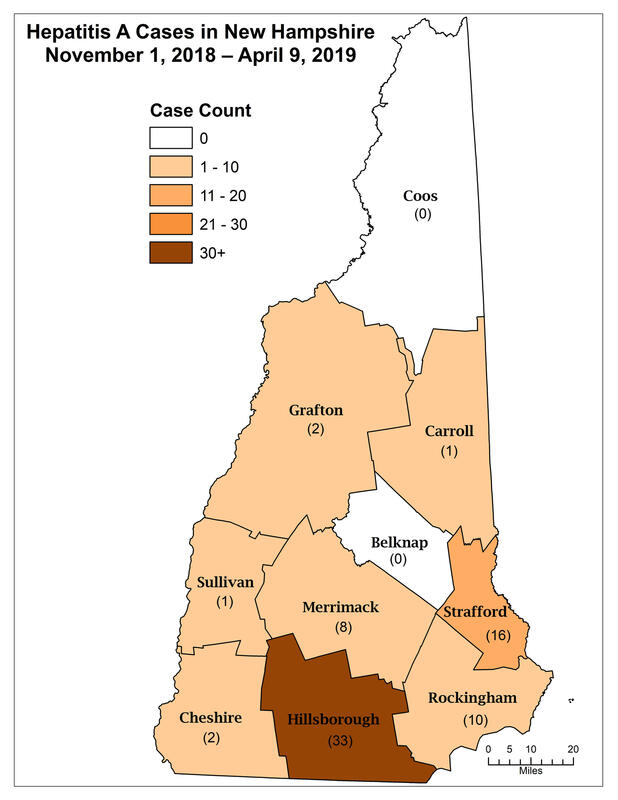 Officials say the majority of the cases diagnosed since November have been in Hillsborough and Strafford counties. Hepatitis A is transmitted by ingesting small undetected amounts of stool from someone who is infected. State health officials are recommending that people who are at high-risk for hepatitis A get vaccinated. At-risk populations include people experiencing homelessness, people using recreational drugs, gay and bisexual men, and people who have close contact with someone who is infected. New Hampshire is one of 18 states that have declared an outbreak of hepatitis A.